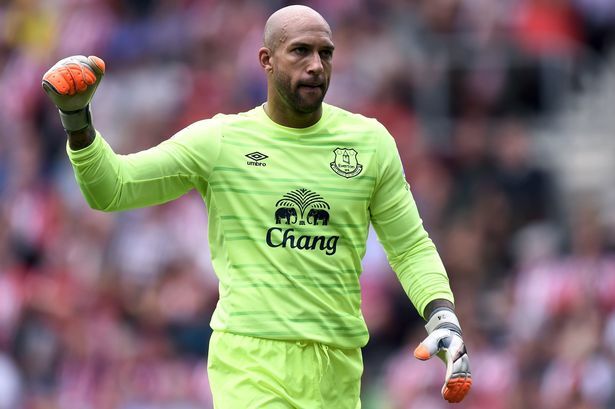 Former Everton goalkeeper Tim Howard has revealed that he is finding life difficult without them, and that they make an important part of his Saturdays. The keeper is around 5000 miles away in California and wakes early for the trans-Atlantic broadcast of the Premier League every weekend, staying in touch with the club he spent a decade. “I miss Everton and I miss my teammates. When I watch them every Saturday, that’s what stands out to me. I miss walking down that tunnel,” the player said. Howard featured in over three hundred games for his former club so it would definitely take him time to forget. He is still recovering from a hip injury whilst he answered questions from Echo at a Los Angeles conference centre. There are World Cup qualifiers and the new MLS season next month that the player has to look up to. In all of this, he seems to truly miss Everton. The sentiments he conveyed in his farewell letter to the club remain strong. He added that he speaks regularly with former Toffees star John Stones now at Manchester City. He adds Ross Barkley and Phil Jagielka to the list as well. “I feel so challenged here, that’s kind of what I was hoping for – to be part of a franchise that was desperate to win another MLS Cup. I’m focused and committed. It’s sustaining me in ways that I hoped it would. The 37-year old football star said it was easy for him to adapt to the MLS. When asked if he could return to Goodison even for a non-playing role, he said he would remain in Tennessee until his kids reach college age before deciding what next. Howard has three years on his deal with Rapids and he could very much go beyond the 40-year old mark.